How often should you Calibrate your Test Equipment? 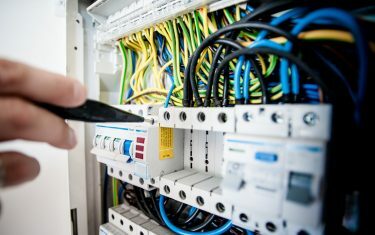 It is important to be sure that your electrical testing equipment and test meters give you accurate results in accordance with its specifications. A common question we hear is, “how often should you calibrate your test equipment?” And to that we say, is recommended that you have these calibrated on a regular basis. So, how often should you Calibrate your Test Equipment? However, saying this will only tell you so much. There is no real short answer to this question as there is no “one size fits all” approach to this. Every instrument will have a different calibration frequency requirement that comes recommended by the manufacturer. It is advised that you follow the manufacturers recommended frequency to give you peace of mind. It will also ensure that you can use your equipment safely and reliably. However. Please bear in mind that critical measurements may require different intervals. The calibration process compares a measuring instrument with a measurement standard. This is to establish the relationship between the values indicated by the instrument and those of the standard. Over time, the accuracy of your tests can drop. Because of this, it is advised that regular calibration is undertaken. The accuracy of major components of instruments such as voltage references, input dividers and current shunts will start to change over time. This change, however, is only minor and will not affect the measurements if you stick to a good calibration schedule. You must have your test instruments calibrated by an accredited laboratory. You must be able to trace your meter calibrations back to the National Standards and procedures detailed in BS EN/IEC17025:2017. They should also be carried out by suppliers who are ISO 9001:2015 certified. The organisation you use should be AKAS accredited. If not, you could risk facing compliance and safety issues and litigation issues. You could also risk wasting resources and materials, see a rise in downtimes and see a drop in the quality of the final products. 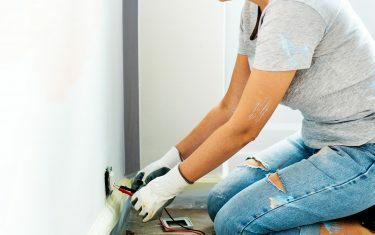 It is also worth being aware that by keeping your own record of measurements, you will be satisfying guidelines from bodies such as NICEIC, ELECSA and NAPIT who will carry out your annual assessment. So, say you were to do this using a known fixed resistor bank. You record the results at the frequency and manner specified by the bodies. If the readings remain the same, this may satisfy the need for calibration. Manufacturers recommendation – This frequency must be kept up with, but you should not that critical measurements may need different intervals. Before a major critical measuring project – If you have a project that needs extremely accurate measurements, you should first decide which instruments to use. Then, you should send them for calibration and lock them down in storage until testing begins. This will ensure you get the most accurate results. After a major critical measuring project ends – After a major critical measuring project, you should send the same equipment for calibration. When you receive the results, you can confirm the accuracy of your testing results for that project. After an accident/event – You might have to think about having the instrument checked for accuracy following a hit. This could be events such as having something knocked out of the internal overload or any physical impact. Individual project requirements – Regardless of the project size, each job will have a different requirement for calibration. Some must be certified and calibrated test equipment. Others, however, may not need stringent calibration standards. These requirements may not be explicitly stated, so you should review the spec before the test. Monthly, quarterly or semi-annually – If you often do critical measurements, then a shorter timeframe between calibrations will mean there’s less chance of questionable test results. Calibrating often at shorter intervals will afford you with better specifications. Depending on how often you use them, you may need to calibrate monthly, quarterly or semi-annually. One way to achieve this is to use a circuit with known readings, a proprietary calibration card or checkbox. Annually – If you carry out both critical and non-critical measurements, annual calibration is often a good choice with the right balance between prudence and cost. Biannually – If you don’t often carry out critical measurements and don’t expose your meter to an event, calibration at long frequencies can be a more cost-effective choice. Finally, your business insurance may require you have a valid calibration certificate. This is in addition to an awarding organisation. It is advisable that you check with them. It is important that as well as staying on top of your calibration, you stay up to date with all the necessary training to stay on top of your career. To find out more get in touch with ECTA today, or take a look at the range of courses we offer, including the 18th Edition!